I collected this beautiful shell from a seashore exposure of Pleistocene sediments on Great Inagua, the third largest island of The Bahamas. I was on an epic expedition to this bit of paradise with Al Curran and Brian White of Smith College in March 2006. 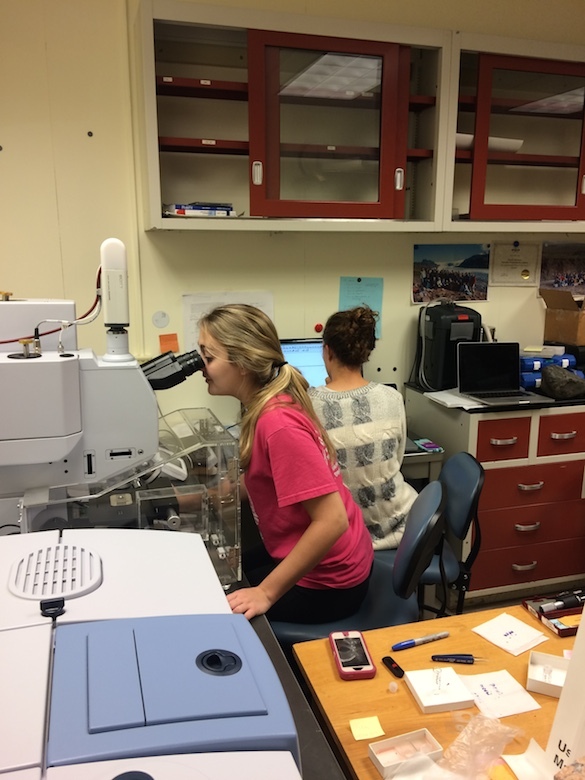 We were pursuing evidence for a sea-level change event in the Eemian, about 125,000 years ago. 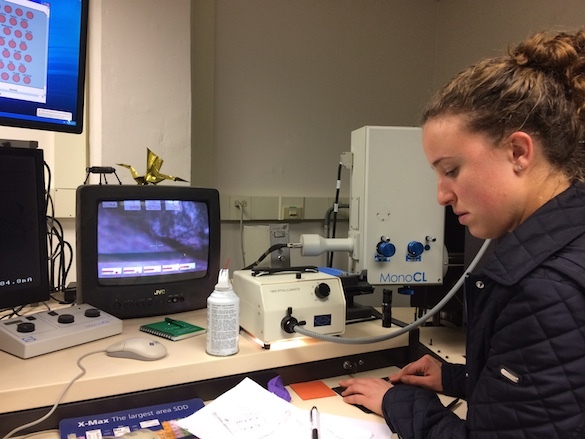 This was some of the most exciting scientific work I’ve done, so this little shell brings back many memories. I found it loosely cemented into a small patch of carbonate sediments inside a hollow of an ancient coral reef. This shell and numerous other samples were basic data for a rapid rise and fall of sea level during the last interglacial interval. The project is summarized in the Thompson et al. (2011) reference below. This is a juvenile of the common Queen Conch Lobatus gigas (Linnaeus, 1758). In its adult form with a flared aperture it is one of the most recognizable modern shells in the world. Some of you may be surprised by the generic name. I was. I knew this shell as Strombus gigas, the original name given to it by the sainted father of taxonomy Carolus Linnaeus in 1758. 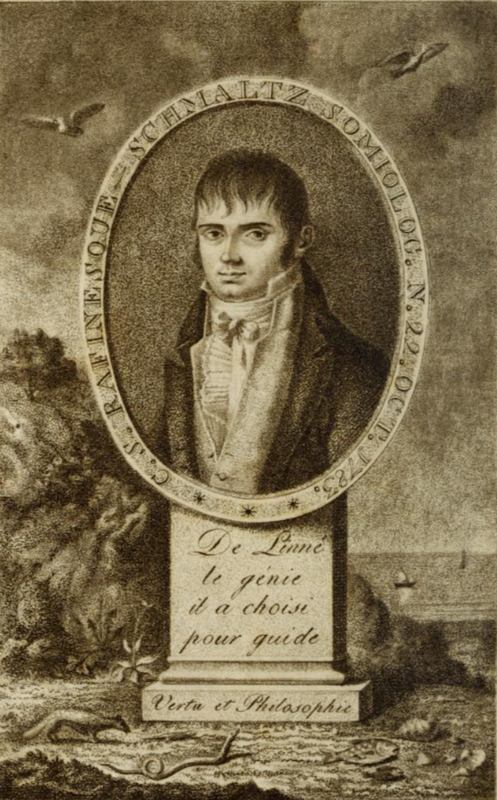 After several adventures in the literature, Landau et al. (2008) placed the species in the genus Lobatus Swainson 1837. The species looks exactly the same today, at least in its shell. 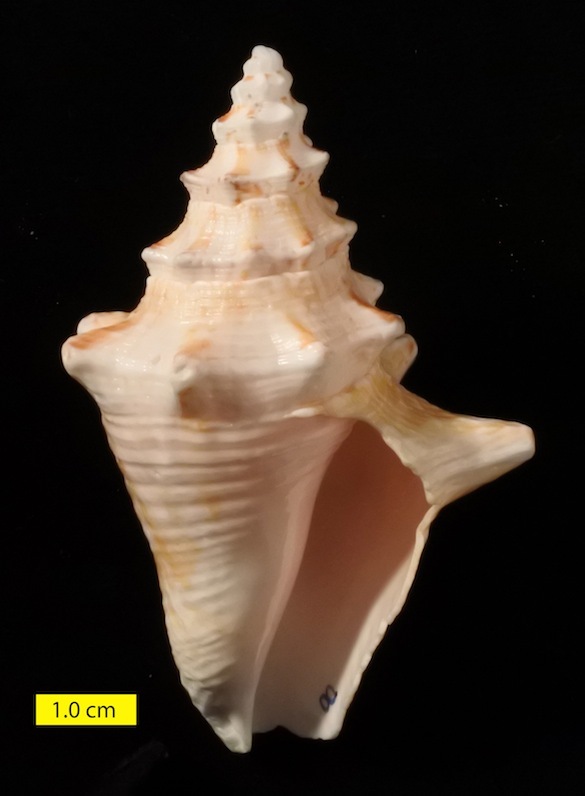 This is a similar modern Queen Conch juvenile collected from San Salvador Island in The Bahamas. 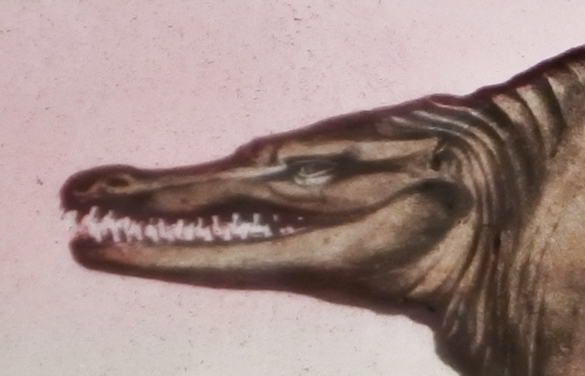 Note the color patterns which are lost in the fossil. 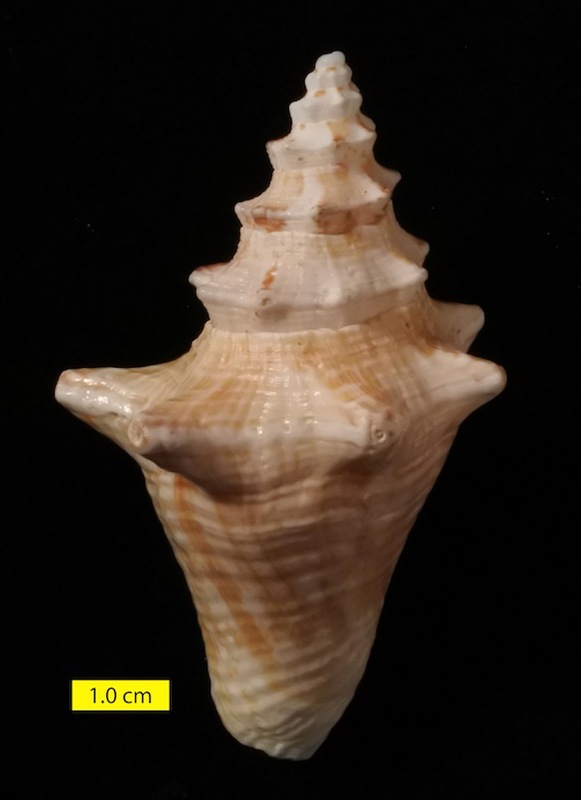 This is the apertural view of the same modern shell. With time it would have grown a much thicker apertural margin to protect it from predators. 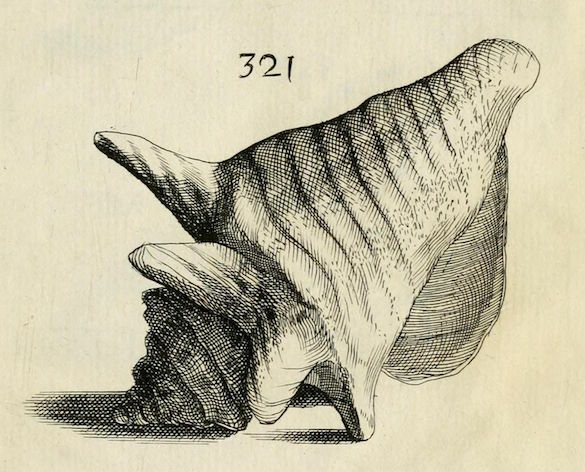 This is the earliest image known of the Queen Conch (Buonanni, 1684). For a long time the type specimen (the specimen of record defining the taxon) of Strombus gigas (the older Linnaeus name) was missing. In 1941 this figure — the figure itself — was designated a neotype (a replacement type) of the species. (First time I’ve heard of that move.) The original type specimen, though, was found in Sweden in 1953, so there is an actual shell in the collections and no need for this neotype. Buonanni, F. 1684. 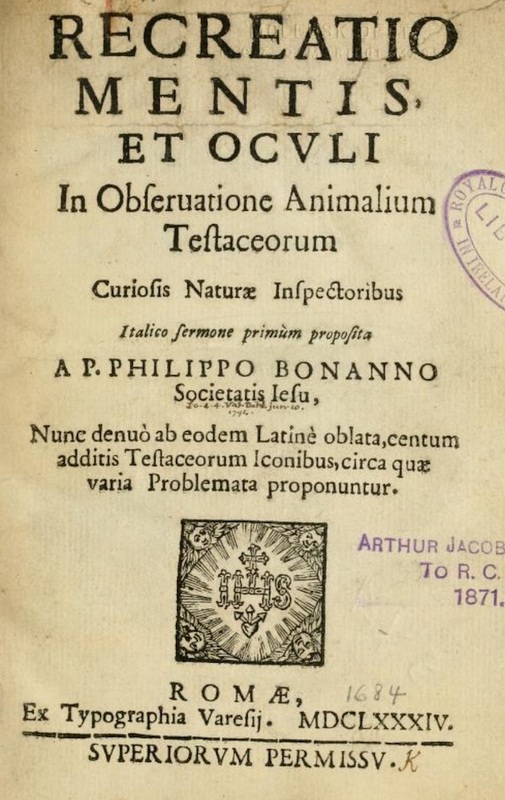 Recreatio mentis, et oculi in observatione animalium testaceorum curiosis naturae inspectoribus italico sermone primum proposita. p. Philippo Bonanno . Nunc denuo ab eodem latine oblata, centum additis testaceorum iconibus, circaquae varia problemata proponuntur. Ex typographia Varesij, Romae, xvi + 270 +  pp., 139 pls. 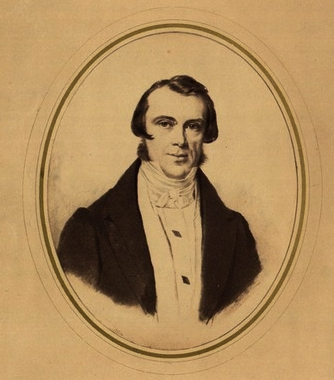 Landau, B.M., Kronenberg G.C. and Herbert, G.S. 2008. 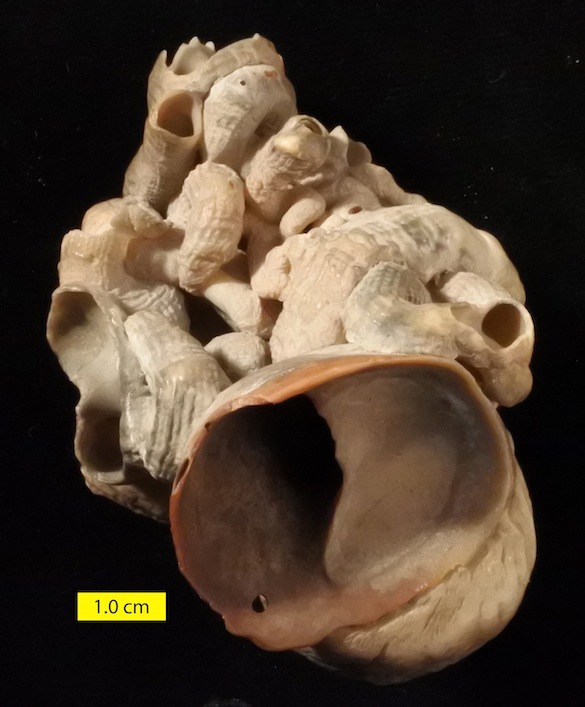 A large new species of Lobatus (Gastropoda: Strombidae) from the Neogene of the Dominican Republic, with notes on the genus. The Veliger 50: 31–38. Thompson, W.G., Curran, H.A., Wilson, M.A. and White, B. 2011. 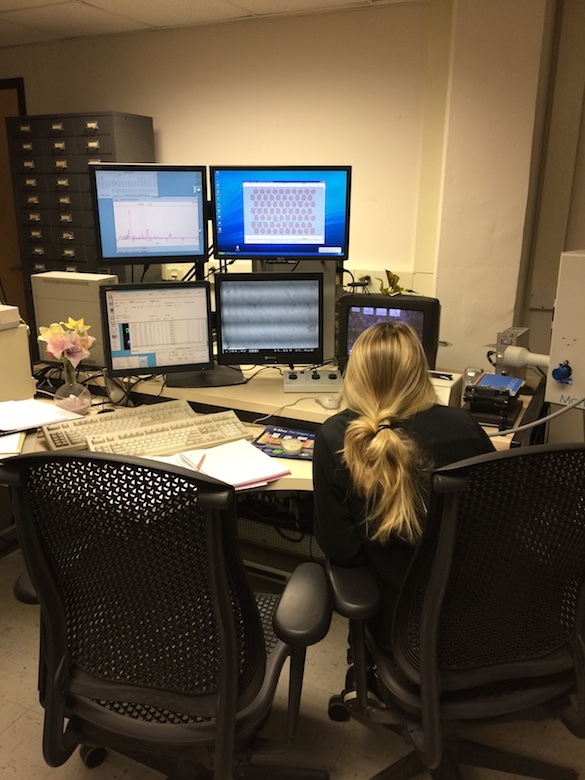 Sea-level oscillations during the Last Interglacial highstand recorded by Bahamas corals. Nature Geoscience 4: 684–687. White, B.H., Curran, H.A. and Wilson, M.A. 2001. A sea-level lowstand (Devil’s Point Event) recorded in Bahamian reefs: comparison with other Last Interglacial climate proxies; In: Greenstein, B.J. and Carney, C., (editors), Proceedings of the 10th Symposium on the Geology of the Bahamas: Bahamian Field Station, San Salvador Island, p. 109-128. Not actually fossils this week, but cool nonetheless. This complex specimen is in our Invertebrate Paleontology teaching collection with no label giving its original location. In the foreground is the underside of a slipper shell gastropod identified as Crepidula fornicata. The tangled mass of tubes encrusting it is a vermetid gastropod. A small round hole drilled by a predatory gastropod is visible in the slipper shell. Turning the specimen over we see a left valve of the oyster Ostrea encrusting the exterior of the slipper shell, along with another view of the vermetid tubes and gastropod boring. 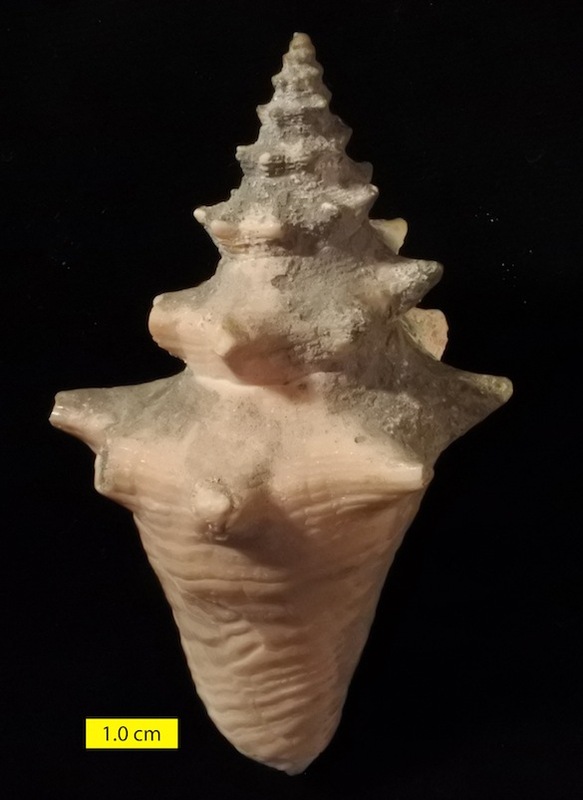 The twisty gastropod Family Vermetidae was named in 1815 by Constantine Samuel Rafinesque-Schmaltz (1783 – 1840).Rafinesque was a character. 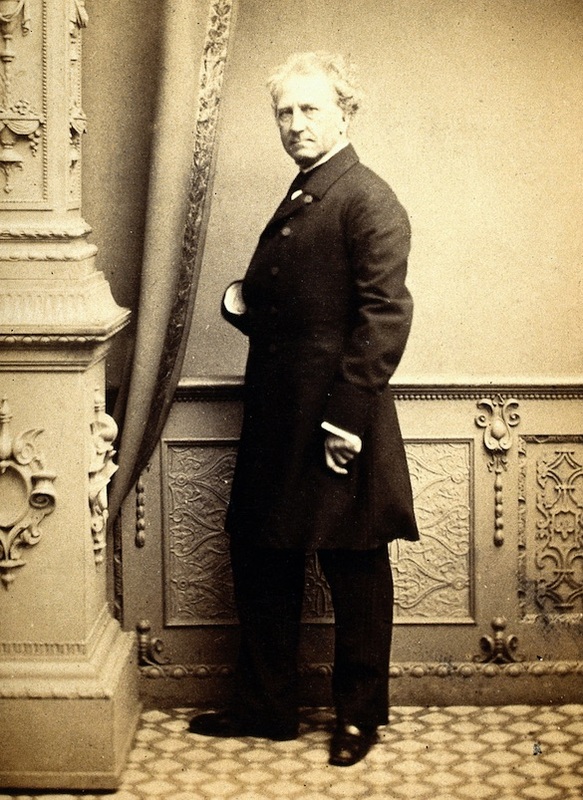 His name is immediately recognizable to paleontologists of the Ordovician because Hall and Clarke named the common brachiopod Rafinesquina after him in 1892. Rafinesque was born of a French merchant father (Rafinesque) and German mother (Schmaltz) near Constantinople in the Ottoman Empire. He was self-educated, learning classical languages before his teens and sorting through rocks, minerals, plants, animals and fossils at a prodigious rate. He began to write numerous articles and books on anthropology, botany, zoology, geology, paleontology, history, and linguistics. The naturalist and philosophical establishment rejected him, for the most part, so he was little praised in his life. Most scholars agree now that he was ahead of his time on many topics, including evolution. 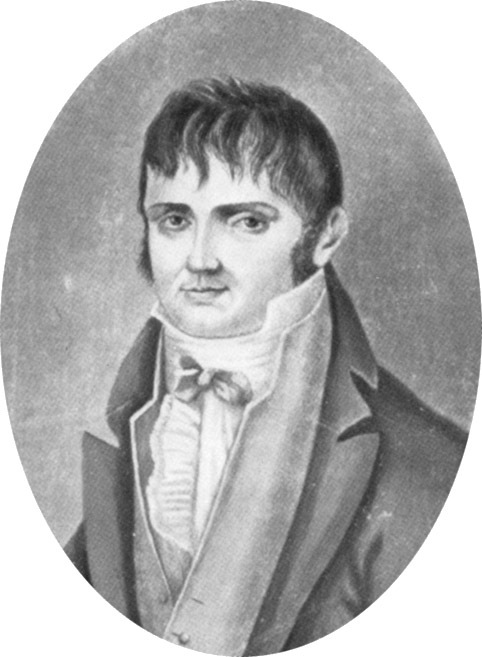 In 1819, Rafinesque was appointed professor of Botany at Transylvania University in Lexington, Kentucky. He apparently attracted considerable trouble during his years in Kentucky. In 1826 he was either fired by the university president or he walked out in a huff. Legend is that he left an angry curse on the school! He died in Philadelphia in 1840 of stomach cancer, to which some attributed to his own homemade medications. A suitably grand frontispiece for the 1815 book. This is the extent of establishing a new family in the early 19th century (Rafinesque, 1815, p. 144). 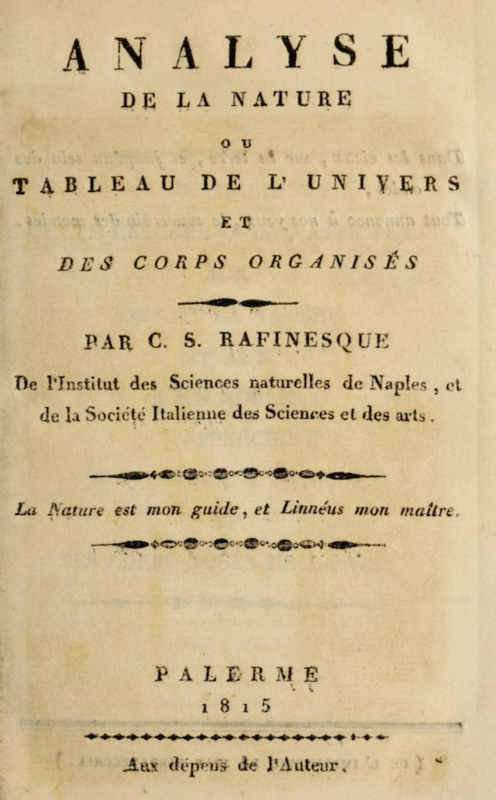 No wonder Rafinesque could name, by his own count, over 6700 taxa. Hall, J. and Clarke, J.M. 1892. 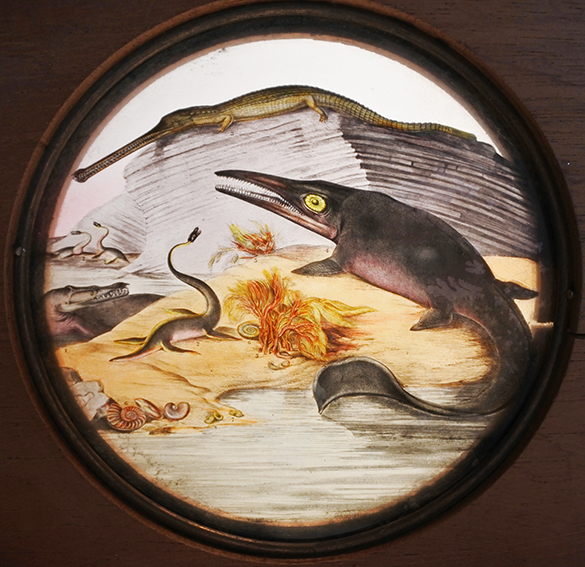 An introduction to the study of the genera of Palaeozoic Brachiopoda. 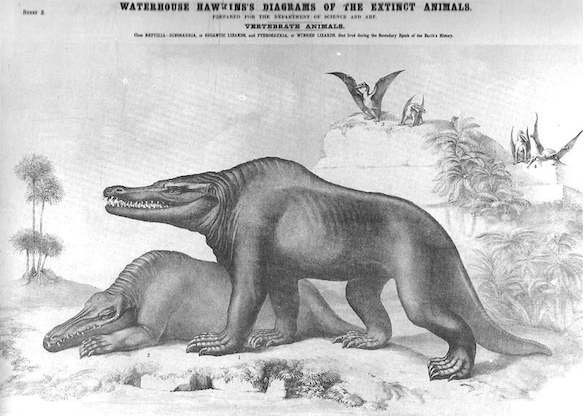 Part I. Geological Survey of the State of New York, Paleontology 8, p. 1-367. Rafinesque, C.S. 1815. 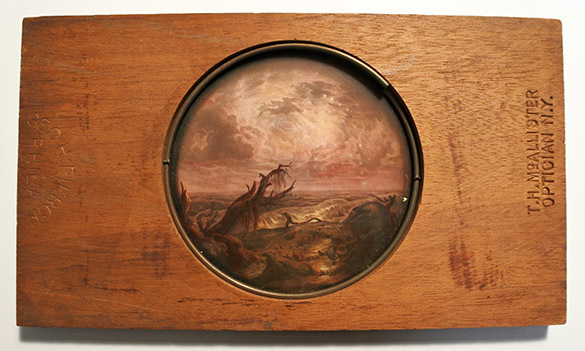 Analyse de la nature: ou tableau de l’univers et des corps organisés. J. Barravecchia: Palermo. 224 pages. 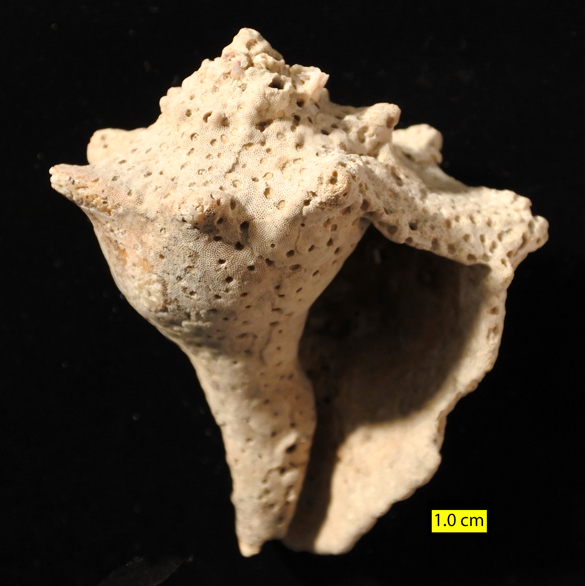 Technically these are “subfossils” since this appears to be an old shell still within the Holocene, although it is possibly eroded out of Pleistocene sediments and then redeposited on a Florida beach. It is a muricid snail eroded enough to erase any specific characters for further identification. It is cool because it is thoroughly bored by clionaid demosponges, producing a beautiful pattern of holes given the ichnological name Entobia Bronn 1838. 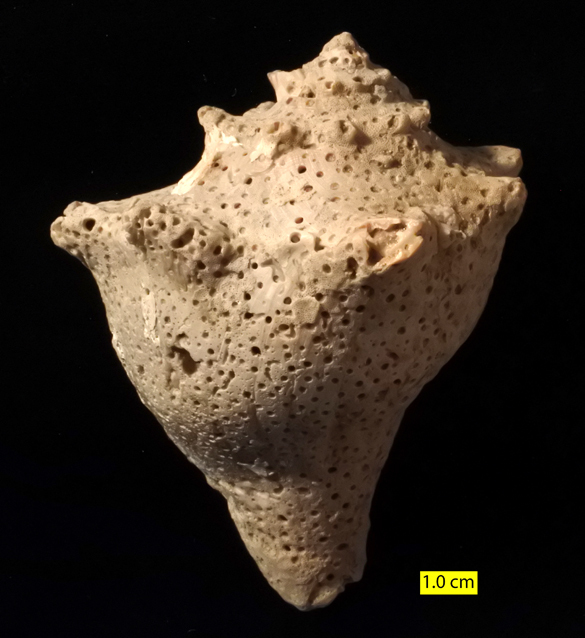 On the left side of the aperture of this snail shell is a fine reticulate pattern from an encrusting cheilostome bryozoan, also punctured by Entobia. 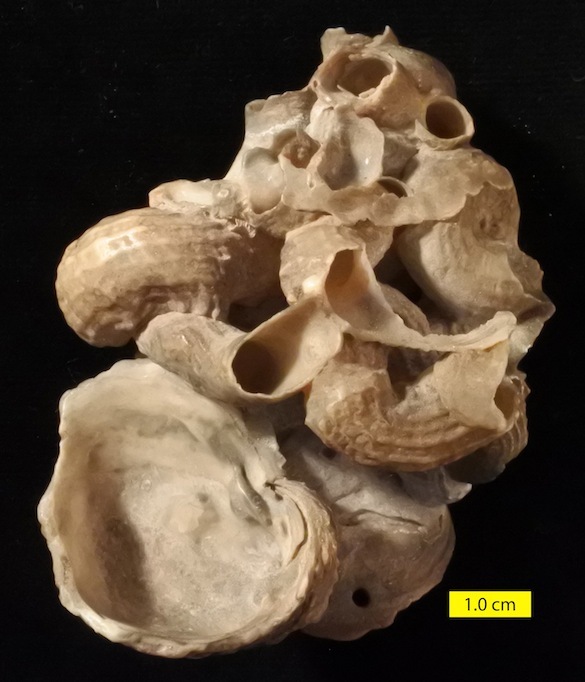 That bryozoan is in a favored place for filter-feeding encrusters on snail shells, so it likely was there during the life of the snail. As a trace fossil this structure would be known as Entobia. It is very common in the fossil record, especially in the Cretaceous and later. Entobia is common in the fossil record, especially in calcareous rocks and fossils from the Cretaceous on. 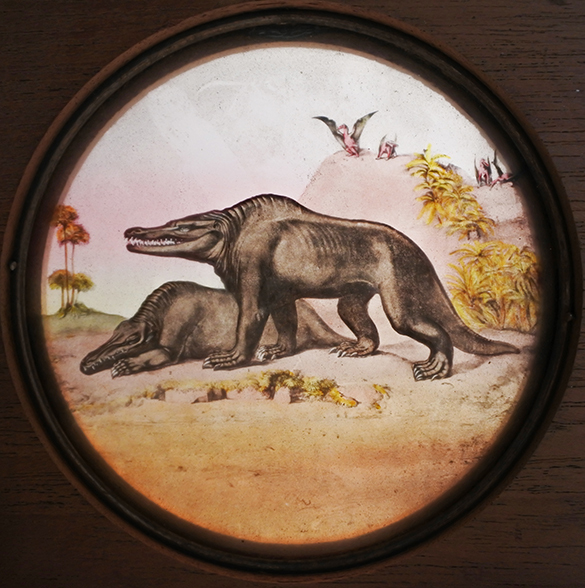 The ichnotaxon was named (but apparently not described) in 1838 by Heinrich Georg Bronn (1800-1862), a German geologist and paleontologist we’ve met before in this blog. He had a doctoral degree from the University of Heidelberg, where he then taught as a professor of natural history until his death. He was a visionary scientist who had some interesting pre-Darwinian ideas about life’s history. He didn’t fully accept “Darwinism” at the end of his life, but he made the first translation of On The Origin of Species into German. Bromley, R.G. 1970. Borings as trace fossils and Entobia cretacea Portlock, as an example. Geological Journal, Special Issue 3: 49–90. Bronn, H.G. 1838. Lethaea geognostica: oder, Abbildungen und Beschreibung der für die Gebirgs-Formationen bezeichnendsten. E. Schweizerbart’s Verlagshandlung, Stuttgart, 545 pages. 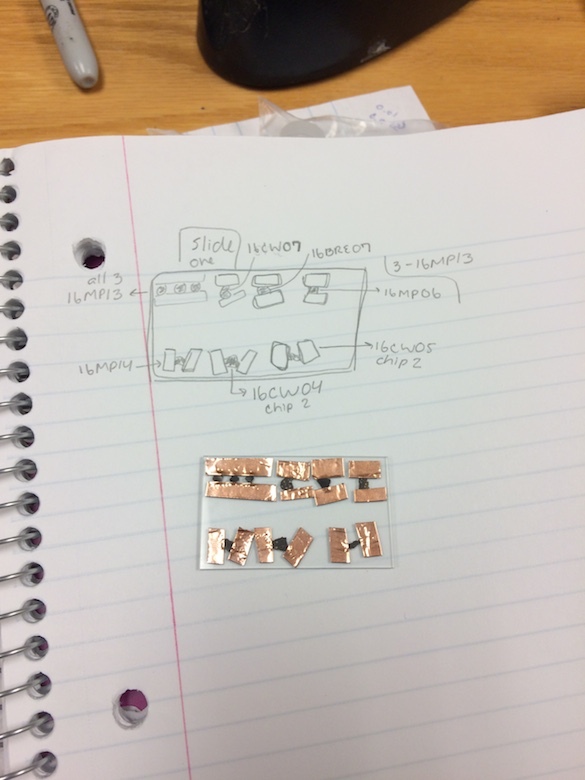 Buatois, L., Wisshak, M., Wilson, M.A. and Mángano, G. 2016. Categories of architectural designs in trace fossils: A measure of ichnodisparity. Earth-Science Reviews (DOI: 10.1016/j.earscirev.2016.08.009). Wilson, M.A. 2007. Macroborings and the evolution of bioerosion, p. 356-367. In: Miller, W. III (ed. ), Trace Fossils: Concepts, Problems, Prospects. Elsevier, Amsterdam, 611 pages.